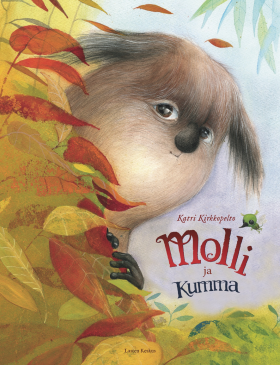 As Blue and her friend Little Sisu try to find the answer to The Strange One’s secret they are forced to reflect on fear, bravery and prejudice. Their friendship is put on trial as Blue finds The Strange One mesmerizing, while Little Sisu thinks that the creature is only a giant ugly green guinea pig who has taken all of her best friend’s attention. Little Sisu feels hurt and abandoned. Is there room for all three of them in Blue’s garden? The story introduces themes of friendship and jealousy, as well as prejudice, courage and finding beauty in the unknown.